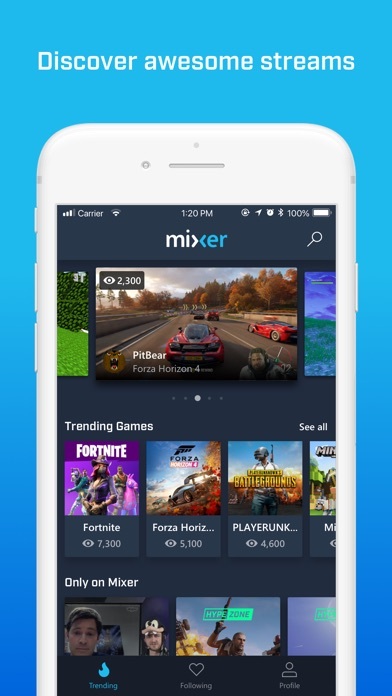 With the new Mixer app, you can do more than just watch — you can take part in the action! Direct game choices, place objects, select sounds and much more. 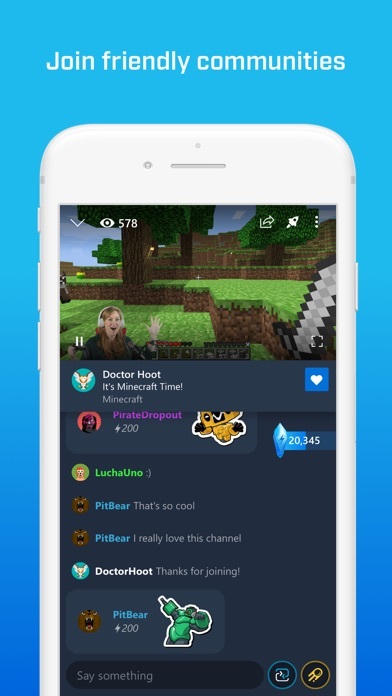 Join now to experience the future of live, interactive streaming for games like: Minecraft, the Telltale Crowd Play series (Guardians of the Galaxy, Minecraft Story Mode Season 2, Batman & The Walking Dead) Killing Floor 2, Death’s Door, Hello Neighbor, & more! 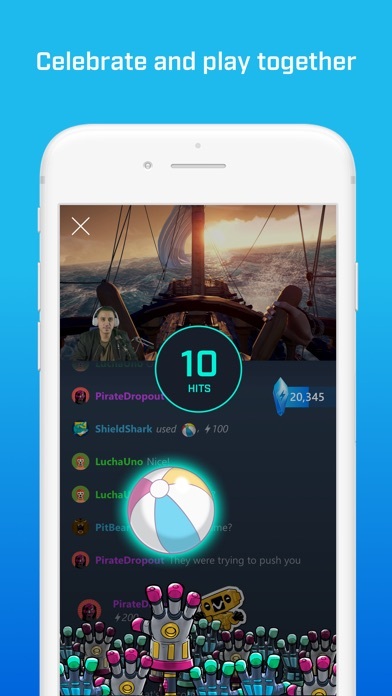 - Participate in your favorite streams by influencing or changing the streamer’s gameplay - Interact and chat with less than a second of latency. That’s Faster Than Light (FTL) technology. - Customize your content by following to find what you want faster Mixer is more than just a streaming app – it’s a streaming community. We want to hear from you about what you want to see in the app. 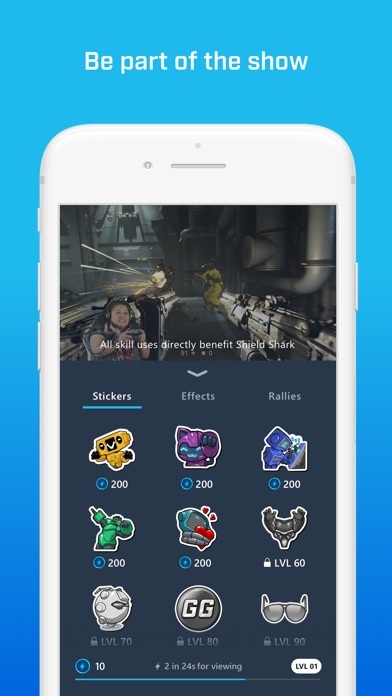 Give us any feedback you have on Twitter @WatchMixer or at https://aka.ms/mixermobilediscord. Am I the only one who doesn’t earn sparks while watching streamers on this app? The main reason I would not recommend this app is because it often has glitches like signing you out at random times.Or it will even not let you sign in sometimes and make you wait weeks until it will.There is also some problems when you are trying to watch someone stream.I would recommend twitch instead of mixer in my opinion. I’ve been tying to log into mixer on my Xbox because it logged me out. Won’t even let me do that. Tried logging in on my phone, won’t ever let me do that. I’m even spelling everything right. Not to mention on Xbox it’s super laggy when you try to watch someone. After just getting application updated, the app won’t let me sign in to my account. And I delete app to reinstall it, the first try it could let me log in but failed after refreshing the app. App crashed and logged me out with no reason. And after this application, the app spent more time to load content than before. Was in the middle of watching a stream when suddenly the video turns black. I close out of the app and come back several times before anything actually loads, and now when I try to sign it- it won’t pull up the sign in page. I tried watching on my browser, but their site wouldn't load. Switched between cellular data and wifi a few times to see if it might be a problem with my internet. No problem with my internet on any other site- just Mixer. This has happened quite a few times since I started watching mixer, recently. Come on, Microsoft.